Indian foreign investors top the UAE realty market with Dh12 billion worth of property transactions from 6,263 buyers. Indians have by far remained the most prolific foreign investors into Dubai realty. As per the data from Government of Dubai’s Land Department (DLD), the total real estate investments last year reached Dh91 billion from 55,928 investors. Indians ranked highest in terms of both volume and value among foreign investors with Dh12 billion worth of property transactions from 6,263 buyers. In an effort to attract more investments from Indians, the 13th edition of the International Property Show, which will be held from April 2nd to 4th this year at Dubai World Trade Centre, will have some of the best properties on display. “The UAE’s safe haven status, stable economic growth and bottomed out prices have been the key factors for attracting Indian realty investments in Dubai. 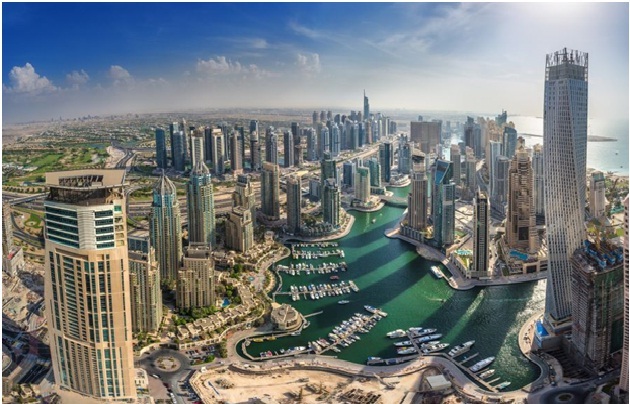 In addition, many Indians find Dubai as their base for business between India and the wider Europe and Middle East,” said Dawood Al Shezawi, CEO, Strategic Marketing & Exhibitions, organizers of the International Property Show. Dubai is increasingly becoming a hot favourite destination with Indians for a number of reasons including high capital gains, great return on investment, tax-free environment, proximity to India, and transparent deals amongst many others. “The profits on properties in Dubai in the form of rents and resale are high. The Dubai realty market has everything on offer – from high-end luxury to affordable housing, making it a perfect destination for Indian investments. This year’s edition of International Property Show will have some of the best properties on offer, allowing serious Indian buyers to make deals and agreements right at the show,” added Dawood Al Shezawi. Supported by the Dubai Land Department (DLD), International Property Show is a platform for both international and local real estate markets to showcase their residential, commercial and mixed-use real estate products and to conduct serious transactional business. The 13th edition of the International Property Show is expected to be the biggest since its return, with over 200 exhibitors from 50 countries to participate. It was noted that while the investments from Indians spearheaded the Dubai realty market, GCC citizens contributed Dh35 billion from 12,768 investors, of which 3,294 investors from Saudi Arabia made transactions worth Dh8 billion. Pakistan contributed Dh4.4 billion from 3,372 investors, while British investments amounted to Dh5.8 billion from 3,372 investors.